Madeline Leman and The Desert Swells will take you on a trip through 60s surf, 70s pop, and their unique brand of Femmericana twang. Influenced by Bonnie Raitt and Patsy Cline, Madeline captivates audiences with stories of strong women who ramble their way through the mundane and the profound. 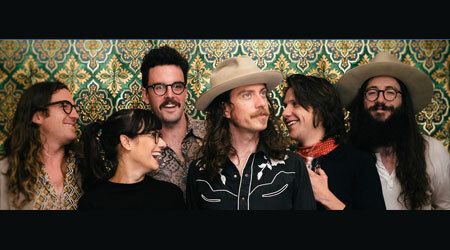 The Desert Swells will be performing songs from their debut album Nobodys Fool, a collection of Americana classics, that together present as Lemans own feminist manifesto. Featuring the vocals of Leah Senior, her band creates the perfect backdrop of 1970s womens lib-nostalgia met head on with a fresh take on country songwriting. Lemans strong vocals and playful pop sentiment provide a powerful listening experience not to be missed! 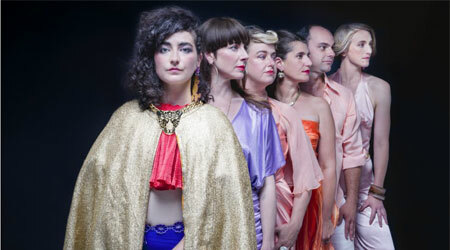 Havana Palava is a vibrant street band of brass, saxophones and percussion who take their energetic cacophony of Latin, African, Balkan, jazz, blues and ska rhythms to the people. 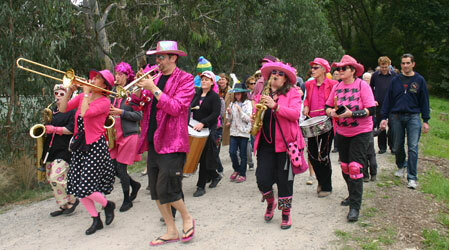 Melbournes bright pink and black Palavas love to dress up, get the crowd dancing and create a carnival atmosphere. At 11.45am join us on the 7-Eleven corner for a noisy march down Yarralea Street to open the Festival. BYO drums, horns, whistles, bagpipes etc! 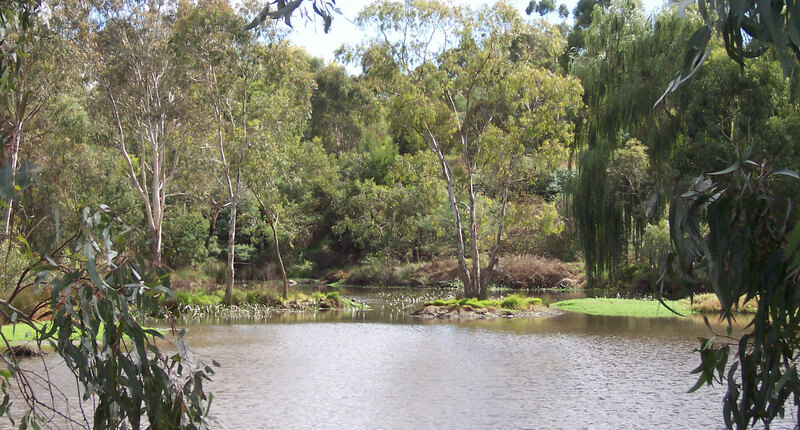 Established in 2005, The Alphingtones Community Choir is a four part choir that embraces community, friendship, and the joy of music. Our repertoire covers many music genres. They are currently led by the talented Ursula Paez who has extended their skills in many ways in both music & linguistics! 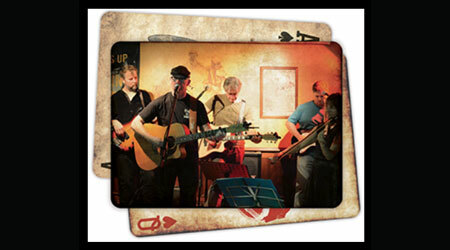 The Alphingtone's repertoire covers all genres, and all levels of expertise. Above all, they like to have fun! 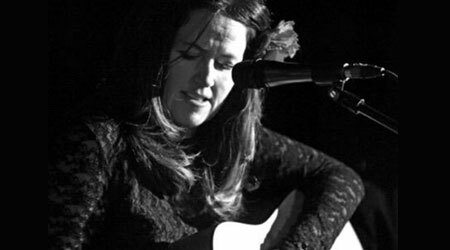 Suzette Herft, is a captivating troubadour and songwriter from the folk / Americana / country traditions. This Sri-Lankan born, but true Melbournian, shines with a natural grace and presence that lights up any stage. "Suzette sings from her soul, she glows when she sings...and every song is plucked with precision from her heart" Mundy (Ireland). Suzette has won wide acclaim for her brilliant tribute show 'Shining' dedicated to Joan Baez, the voice for the voiceless at numerous festivals around Australia, including standing ovations to full houses in past Port Fairy Folk Festivals. Singer Songwriter Mich McManus has spent the last decade playing venues around the world and returned to Melbourne in 2017. A regular artist at the Troubadour in Old Brompton road and the likes of the Half Moon made famous by the Rolling Stones and the Bulls Head in Barnes. Michs passionate voice and original songs matched the Troubadour tradition made infamous by the likes of Joni Mitchell, Bob Dylan and Sandy Deny. Her time in London was signed off by her goodbye video titled Naked that you can all find on on Youtube. 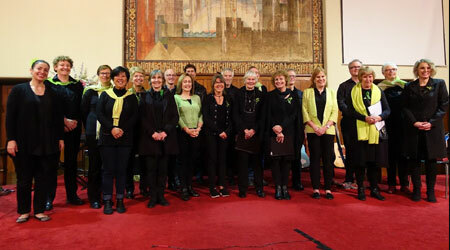 Michs time in Vancouver was marked by a charity performance Voices in the Woods at small iconic church made famous by Joni Mitchell herself; and an acoustically incredible experience performing in UBCs Chan Centre for the Performing Arts. 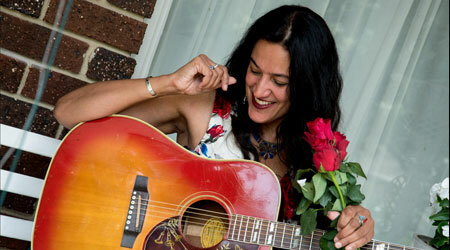 Her passionate voice and alternative folk songs have loyal followers in London, Vancouver, Melbourne and Singapore.